Other than being known as the production centre for Mandopop in its heyday, in recent years, Taiwan has also a burgeoning indie music scene. The capital city, Taipei, has even been praised as the world’s newest capital of indie music. Just like many other places in the world, when it comes to music, the notion of ‘independence’ and ‘indie’ have been contested, yet these concepts remain powerful regarding the creation and mobilisation of collective identities among Tawainese music lovers. Due to its specific socio-economic and cultural context, the label of ‘indie music’ in Taiwan has distinctive meanings generated by local practices. This article will explore what ‘indie music’ means in today’s Taiwan by examining three aspects of independent music: firstly, the connotation of ‘independent music’ by inspecting local development and changes of recording music industry. Secondly, it will look at the spatial attributes of indie music performances. Finally, the article will conclude by examining indie aesthetics by providing an example of a particular version of ‘independent sound’ associated with Taiwanese music, ‘Little Fresh’ (小清新). The term ‘independent’ or ‘indie’ originated in the Punk movement in the UK, when small record labels produced music, proclaiming their authenticity and alterity in contrast to ‘ mainstream’ strands of music. Indie, often used as a label for a given music genre, was therefore coined due to its style of industrial organisation while reflecting popular culture’s rejection of the idea that only large companies can make records. During the 1970s, the record industry of Taiwan differed contextually from that of the UK. Ho Tung-Hung lists a few reasons for these differences, including a lack of popular political mobilisation given martial law, along with the lack of alternative distribution networks. Thus, ‘independent’ as a musical label in Taiwan at the time, did not have similar connotations. His analysis of a Taiwanese label, Crystal Records (水晶唱片), underlines how an aesthetic claim to be independent can be a marketing strategy for a small company, while the latter still collaborates with major companies. One reason behind these differences is the co-existence of transnational companies, such as the Big Five, and local labels like Rock Records (滾石唱片). 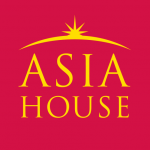 The latter is a locally established transnational label and therefore was categorised as Indie which supposedly placed it in contrast with larger companies present at the time. However, it must be noted that Rock Records was, ironically, the largest ‘independent’ label in Asia at the time. Around the 2000s, digitalisation and the Internet had a significant impact on Taiwan’s recording industry, in ways very similar to other countries. During this time in Taiwan ‘micro-independents’ and bedroom producers thrived in this context. One example marking this change is the Street Voice website. This was formerly a Taiwanese site for musicians to post their work and has now extended its services to Hong Kong and China, while also curating content from music festivals. In 2016, the rock band No Party for Cao Dong (草東沒有派對) released their first album, The Servile (醜奴兒), which was only distributed through unconventional channels such as coffee shops. All of their records and concerts in Taiwan sold out quickly with their success highlighting the impact of micro-independents. It should be noted that No Party for Cao Dong won awards both at the Golden Indie Music Awards (GIMA) and Golden Melody Awards (GMA). The former was often associated with indie music and the latter with the mainstream. The success of this band implies not only the alternative means of marketing music but also the crossover between two ideological categories. The spatial attributes of indie music are also an important marker, and ‘live houses’ in Taiwan play a significant role in this scene. Generally speaking, the musicians who played and thrived from these venues are often regarded as indie musicians. One of the most remarkable venues in Taiwan, Underworld (地下社會), has been an important spot for indie bands. The Underworld opened in 1996, coinciding with the decade in which Taiwan’s earlier generations of rock bands became active. These bands include LTK Commune (濁水溪公社) and ChthoniC (閃靈), two groups who are provocative in relation to Taiwan’s politics, and Mayday(五月天), the latter being the leading pop/rock band in the Chinese-speaking world and being praised as the ‘Chinese Beatles’. 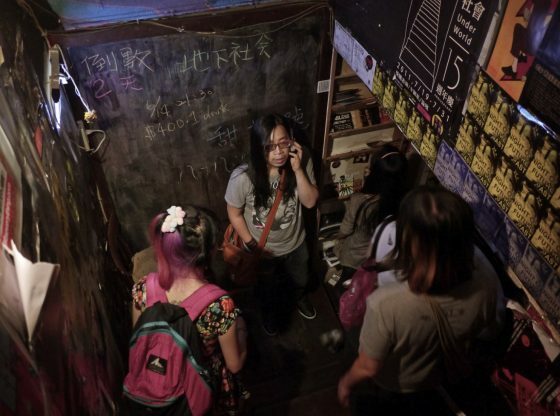 Other venues which were important in the flourishing indie nightlife scene in Taipei include Witch House(女巫店), Riverside(河岸留言), The Wall, and Legacy. Among the venues, Witch House was also known for the debut of several musicians, such as Cheer Chen (陳綺貞) and Dessert Chang (張懸). Miaoju Jian provided a great case study of legendary venue, Underworld, which, unfortunately, has closed due to issues associated with urban gentrification and opposition from local middle-class residents. However, another venue, Legacy, opened in 2010 inside Huashan 1914 Creative Park. The establishment of this cultural park was assisted by the Taiwanese government’s investment in cultural and creative industries at the time. These two venues provide examples of how policy can affect, alter, or refine a sense of independence in the case of live music. A central issue of the discussion at hand is that an ‘independent sound’ is, aesthetically speaking, never easy to identify and categorise. After certain artists’ music that was considered more ‘independent’ became popular not only in Taiwan but also in China, including the band Sodagreen (蘇打綠), singer-songwriters Cheer Chan and Dessert Chang coined the term ‘Little Fresh’ which came to characterise a musical style, sound, as well as image. It became associated with the notion of indie pop, this music is often accompanied by acoustic guitar and usually depicts more light-hearted themes. There are many different bands in Taiwan, but those associated with the aesthetics of ‘Little Fresh’ have left a lasting impression on the PRC’s music audience. Zhang Xiao-zhou, a Chinese music critic and writer, associated the aesthetics of ‘Little fresh’ with the depoliticised imagination of Taiwan as the Other in the context of contemporary Chinese-speaking regions. This phenomenon exemplifies the construction of ‘cultural imaginations’ among music audiences in different locations. In today’s Taiwan, music produced by smaller labels still challenges the major companies. However, the term ‘indie’ also functions as a popular signifier or marker employed by various stakeholders. For instance, Cheer Chen and Dessert Chang are Taiwanese examples of this ‘alternative’ image, yet they were both signed to major labels at the beginning of their career, while their music tends to be considered indie. Regardless of the difficulty in finding markers to distinguish the ‘independent’ from the ‘mainstream’ in music production practices, the line between the image of the two is not as blurred as one may think. The idea of ‘the alternative’, which is closely intertwined with ‘independent’, is still powerful in terms of evoking a more democratised cultural production. However, whatever layer of independence is implied and in what context is sometimes left unanswered. It is evident that in today’s Taiwanese music scene, market segmentation functions as a useful tool to differentiate music consumers, thereby attracting those who prefer this alternative image. The economic value of such a notion is self-evident.